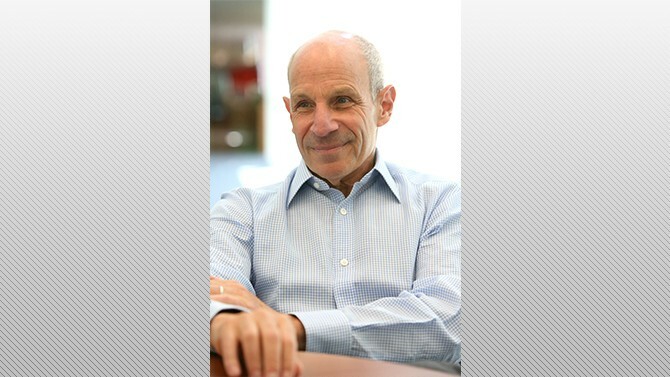 On Thursday, Sept. 14, Jonathan Tisch will visit the University of Delaware to share wisdom he has developed as chairman and CEO of Loews Hotels & Co, a co-owner of the New York Giants, chairman emeritus of the United States Travel Association and more. Tisch’s presentation, “The Power of We: Lessons for the Hospitality Industry and Life,” will be this year’s installment of the Chaplin Tyler Executive Leadership Lecture Series in UD’s Alfred Lerner College of Business and Economics. The event will start at 3:30 p.m. in room 115 of Purnell Hall. Read on for a Q&A with Tisch on his upcoming lecture at UD and on the inspirations he draws from his family’s 75 years in the hospitality industry and beyond. Q: We’re looking forward to hosting you at UD on Sept. 14. Can you give a preview of what you’ll be discussing? A: I’ve been fortunate to have written three books, and the first one was called The Power of We: Succeeding Through Partnerships. We can’t be all things to all people, and we need to put aside our individual concerns and work together toward the greater good. That’s a philosophy that we have used at Loews Hotels and Loews Corporation for many years. I’ll discuss with students ways to partner together, how it’s beneficial, and how you can accomplish more by understanding what you’re good at and then surrounding yourself with people who complement you, because, as I said, we can’t do it all ourselves. We’ll talk about the fact that part of the road to success is that we have a responsibility to help others. I’ll also give a brief history of Loews Hotels and Loews Corporation. I’m the third generation to run the company day-to-day, and I’m honored to run Loews Corporation with my two cousins. So I will talk about what we as a company and as a family have seen over the years in the hotels business and in other industries. Q: What advice would you have for students who are interested in this path? A: My feeling is that you should take a job, any job. You learn from every experience and we never know where we’re going to end up in our lives. Especially in the hotel industry, knowing the basics and finding an entry point into our industry is a great way to get a sense of how the business really works. Try to work in as many different areas as you can to really learn the business. Q: When you were a student at Tufts University, what career paths were you interested in? A: Growing up in the hospitality industry with my siblings and cousins, we always had an exposure to the hotel business because it was the original industry that my father and uncle focused on. But while I was at Tufts, I also had an interest in the entertainment industry. And so when I graduated from Tufts, I was offered a job to be a cinematographer and producer at WBZ in Boston and I stayed there for three years. In August of 1979, I came back to New York and re-entered Loews Hotels. Q: So did those years working in entertainment influence your work as a hospitality professional? A: The years that I was a cinematographer and editor, I was able to really get a sense of creating images and creating a storyline, and that’s basically what the hotel business is. We’re just another form of the entertainment industry, and our storylines are made up of lobbies and menus and rooms and meeting spaces. My experience at WBZ also helped train my eye, which enabled me to design all of our hotels with our partners, architects and interior design firms. Q: Does that interest in entertainment also influence you as a co-owner of the New York Giants? A: That really came from my father, who grew up in Brooklyn with his brother with very little. In 1991, he was able to buy 50 percent of the New York Giants, and until he passed away in 2005, it brought him tremendous pleasure. He truly enjoyed being involved with such a well-known and established franchise. For my brother and sister and I to be co-owners of the team and partners with the Mara family is really quite a wonderful responsibility and one that we take very seriously. Q: And are there overlaps in the skills that you find are necessary in both the hospitality and sport industries? A: It’s certainly about entertainment, and it’s about creating an environment for people to enjoy themselves. The challenge today is that everybody’s got their man or woman cave at home, and they have 60-inch TVs. How do we create a product where people want to leave the comfort of their viewing room to get in a car and drive to a game? That’s why it’s incumbent on the NFL and other sports to ensure that our product is always the best it can be, so that the fans truly enjoy the experience in person. That overlap was evidenced when I was honored to be co-chair of the Super Bowl host committee for Super Bowl XLVIII when it was at MetLife Stadium. This was the first time that the Super Bowl was in a stadium without a roof in a northern city, and so there were so many aspects that we had to be cognizant of. When the Super Bowl was over, it had an estimated economic impact of approximately $500 million for New York and New Jersey through a variety of events and the game itself. So my experience all came into play. Q: Who is the biggest influence on your career and why? A: Certainly I consider my father and my uncle to be huge influences on my business career, and then when you add in my mother and my aunt you get a sense of how we learned responsibility and how everybody in our family truly participates in community. In terms of the industry that I’ve worked in for the past four decades, I look up to people like Bill Marriott and Ian Schrager and have total respect for the other CEOs of a lot of companies that I get to work with on a variety of issues. There are a lot of very smart men and women that have made a career in hospitality and I am fortunate to learn from them every day.